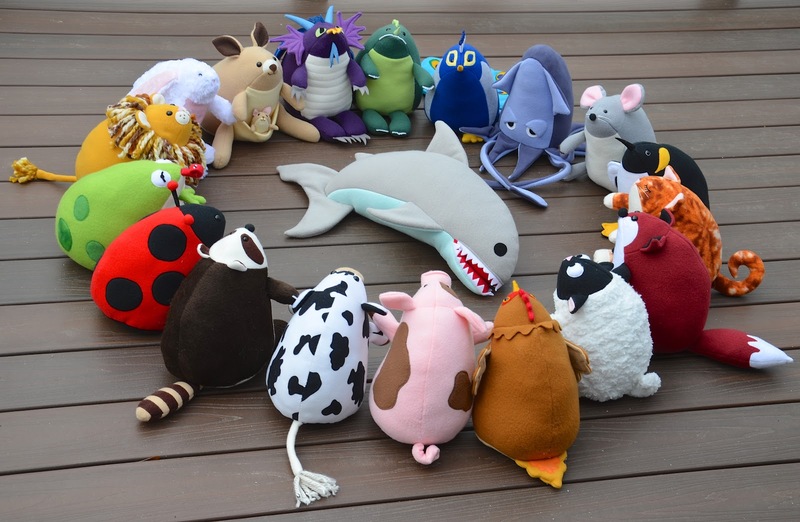 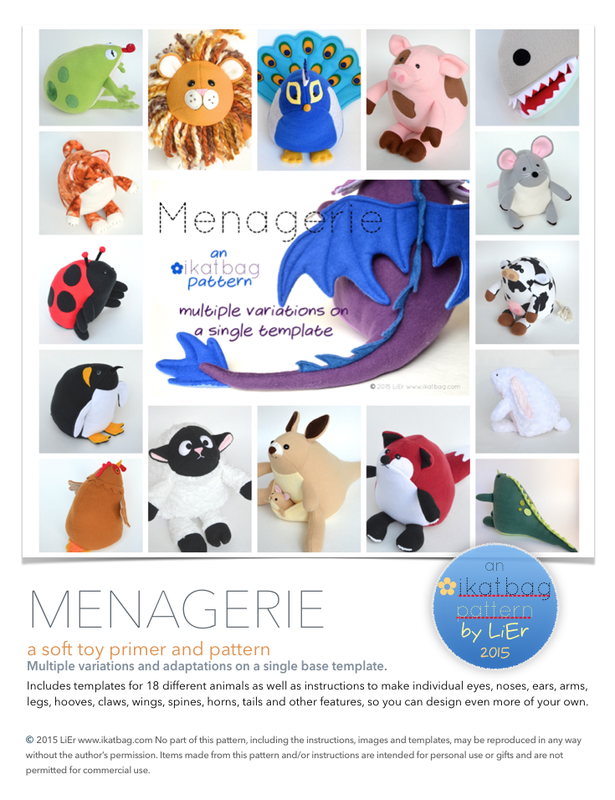 Menagerie is a pdf sewing pattern that teaches you to adapt a base template to make multiple different stuffed animals. 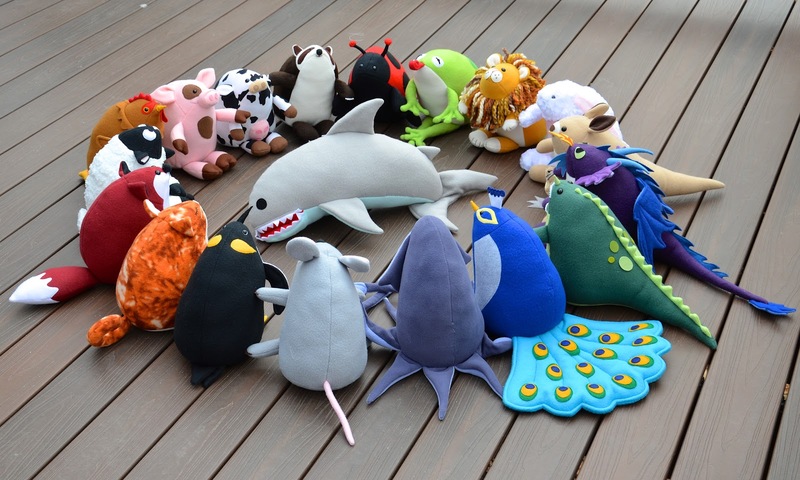 It has 92 pages, of which 14 contain templates for making 18 different variations; 22 contain foundational instructions for making softies and softie parts in general; 48 contain specific instructions for making the 18 animal variations shown on the cover, and 4 contain diagrams for assembling, adapting and varying the templates. 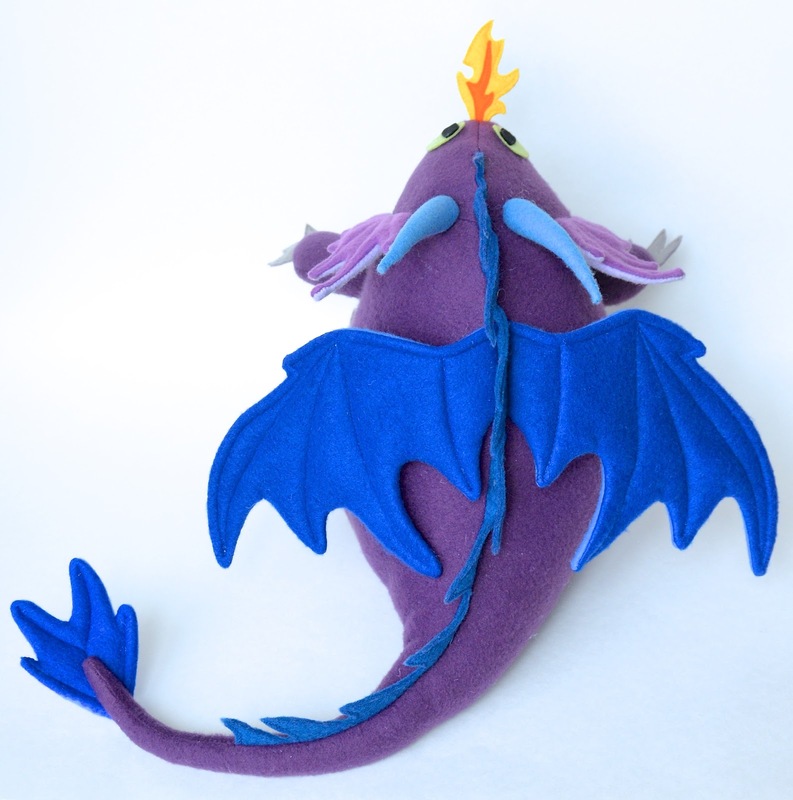 Accompanying the text instructions are diagrams and full-color photographs. 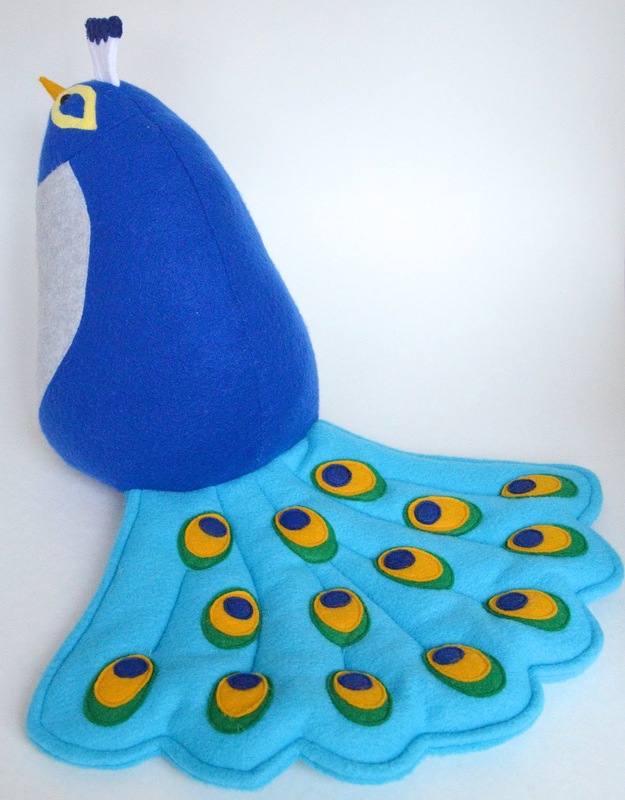 This pattern is intended for seamstresses with some familiarity with the use of a sewing machine, and who are able to sew straight and curved seams and work with simple 3-dimensional structures.